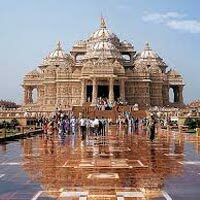 Golden Triangle tour itinerary comprises Delhi, Agra and Jaipur. 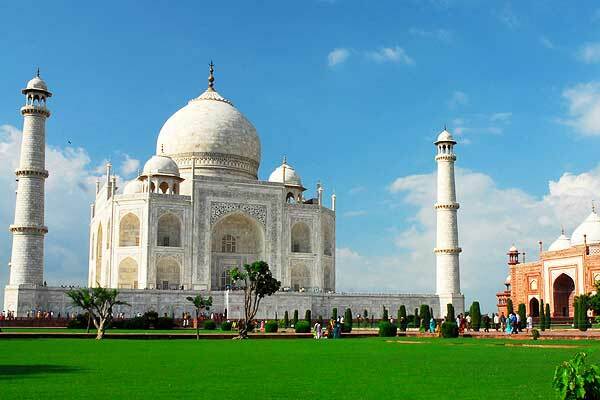 Golden Triangle tour is one of the most popular Taj Mahal tours. The Golden Triangle tour by Optima India Tourism offers an inquisitive traveler not only 'people contact', 'feel of culture & lifestyle', 'typical bazaars of handicrafts' but also monuments of amazing charm. 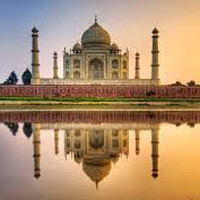 In 06 days Golden Triangle tour, a visitor sees thousands of years old rust-free historical Iron Pillar, Qutub Minar (tallest sandstone tower), Humayun's Tomb (first architecturally fully-evolved Mughal monument), Red Fort, Lotus Temple (the only monument of Bahai faith in India) and Akshardham Temple in Delhi. Agra Fort, Tomb of Akbar in Sikandara, Baby Taj (Tomb of It-Mad-ud-Daula) and world famous Taj Mahal are visited in Agra. Along with Fatehpur Sikri, watch out Amber Fort Palace, City Palace, Jantar Mantar, Hawa Mahal and Birla Temple in Jaipur. Representative of Optima India Tourism will welcome you traditionally on arrival at Indira Gandhi International airport, New Delhi, transfer to New Delhi hotel and ensures your smooth check in. Relax overnight in Delhi hotel. Have relaxed breakfast in the morning. Late morning, you will be introduced with your Delhi tour guide at the hotel. Move on for Old Delhi sightseeing tour which comprises Red Fort, Chandni Chowk and Jama Masjid (India's biggest mosque). Enjoy 'rickshaw ride' in Chandni Chowk which is a 400 years old bustling market. The 'rickshaw ride' will offer you an opportunity of 'people contact', 'feel of culture & lifestyle' and 'typical bazaars of handicrafts'. Post lunch, you will be visiting Raj Ghat & Akshardham Temple. After Old Delhi tour return to Delhi hotel for overnight stay. The sightseeing tour of New Delhi will commence comparatively early this morning compared to first day of Golden Triangle tour. Relatively longer distances will have to be covered. Breakfast will be at the hotel. 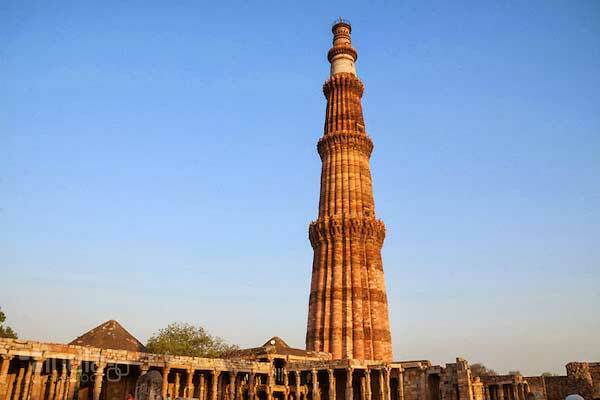 Start a full-day tour of New Delhi which includes India Gate, President House, Parliament House, Mehrauli's Iron Pillar, Qutub Minar, Humayun's Tomb and Lotus Temple. Later in the evening, proceed to see the DANCES OF INDIA show. Overnight will be at Delhi. Have delicious breakfast early in the morning, as you will have to reach Agra at the earliest to see the Taj Mahal, one of the prime reasons to tour India. The comfortable deluxe car with experienced & well-mannered chauffeur is waiting for you. Check out from Delhi hotel and proceed for Agra, the city of Taj Mahal. En route Agra, visit Tomb of Akbar at Sikandara, at the outskirts of Agra. After visiting Sikandara, move on for Agra. Check in at the pre-booked Agra hotel to relax a bit. After getting relaxed, visit Taj Mahal, Agra Fort and Tomb of It-Mad-ud Daula. Agra is city of two UNESCO World Heritage sites- The Taj Mahal & Agra Fort. Late afternoon, explore local market of Agra, known for richly carved marble souvenirs. Overnight will be at Agra hotel. Today on Golden Triangle tour, you will proceed for Jaipur, the capital city of Rajasthan. Rajasthan lures tourists from across the world for its royal forts & palaces, golden desert, camel safaris, tiger safaris, and exotically vibrant culture. Early in the morning, after relishing sumptuous breakfast in Agra hotel, move for Jaipur. En route visit Fatehpur Sikri, a deserted city and known for its pristine Mughal architectural specimens. After visiting Fatehpur Sikri, drive to Jaipur. On arrival at Jaipur, check in at Jaipur hotel. 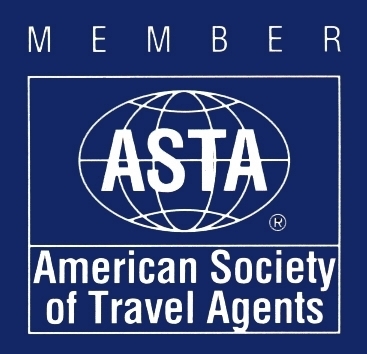 Optima India Tourism representative will facilitate your check in process. He will introduce you with Jaipur tour guide who will take you to visit various monuments of Jaipur. After lunch, sally out for visiting Albert Hall Museum, Birla Temple and Chokhi Dhani. Chokhi Dhani will be an unforgettable cultural treat to your eyes, ears, taste buds and soul. Return to Jaipur hotel for overnight stay. The 5th day of Golden Triangle tour will take you to representative monuments of Rajasthan and Jaipur, in particular. Enjoy your breakfast at Jaipur hotel but a bit early in the morning. PAlong with Jaipur tour guide, proceed for a morning excursion to Amber Fort. At Amber Fort, have a royal ride on elephant and feel like a 'Maharaja'. In addition to Amber Fort, visit Jantar Mantar (a solar observatory with world’s largest sun-dial), City Palace, Hawa Mahal (Palace of Winds) and Jal Mahal. Explore adjacent local market, famous for handicraft products, jewellery and carpets. Spend evening in leisure in the hotel. Overnight will be at Jaipur. After leisurely breakfast in Jaipur hotel, proceed for shopping of ethnic products. After shopping spree, have lunch in a decent restaurant of Jaipur and leave for Delhi. Reach Delhi and you will be transferred to airport for flight with sweet memories of India after Farewell Dinner. Delhi is enriched with long historical past, glorious culture, an enviable treasure of monuments and modern infrastructure. Delhi, currently the capital of Indian Republic , has passed through several upheavals during its thousands of years of existence and has witnessed many ups and downs of history with many dynasties flourishing and diminishing with the passage of time. Musical fountain show in Akshardham Temple. Watch and feel culturally amalgamated social texture of Delhi-Discover the many faces of Delhi. Visit of Chokhi Dhani must be on your cards to experience multi-faceted Rajasthan in a glance. Delhi: Artificial jewellery & goods at various state emporia. Agra: Marble souvenirs, embedded with semi-precious gems. Jaipur: Hand-made artistically embellished ‘jootis’. Jaipur: Rajasthani dishes in Chokhi Dhani.